Later in his career, Friedman was a sought-after auto safety expert. 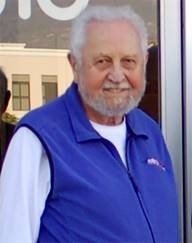 WASHINGTON -- Donald Friedman, a noted General Motors research engineer who helped advance U.S. military weaponry, space exploration and vehicle crashworthiness, and later helped challenge Detroit automakers in high-profile product safety cases, died last month in Southern California. He was 88. Over the course of his more than 60-year career, Friedman’s work included development of significant aerospace technologies and pioneering research into vehicle safety technologies. Starting in the 1980s, he became a sought-after auto safety expert, researcher and consultant who testified as an expert witness in hundreds of court cases. He also served as an advocate whose work influenced NHTSA to toughen its roof-strength standard. He filed numerous petitions with NHTSA to investigate safety defects. Last year, he petitioned NHTSA to investigate 2003-10 Chevrolet Impalas for a software glitch that could deactivate the vehicle’s passenger-side airbags in a crash. Friedman was born in Brooklyn, N.Y., on June 15, 1927. He joined the Navy when he was 17 and served during World War II. In 1948, he earned a Bachelor of Science degree in electrical engineering from Vanderbilt University. While attending graduate school at the Brooklyn Polytechnic Institute, where he studied advanced mathematics, network analysis and synthesis, Friedman undertook research and development projects for Arma Corp., a military contractor. He transferred to ACF's electronics division in 1948, where he was named engineering and military operations manager in 1958. Friedman lead or helped develop the periscope system for the Nautilus, a nuclear-powered submarine, and the infrared seeker and guidance control on the Sidewinder missile, one of the first airplane-mounted missiles able to track a target and shoot it down. He joined GM in 1960 as the head of the land operations department for the GM Defense Research Laboratories, where his work included development of the Lunar Rover used in the Apollo missions. 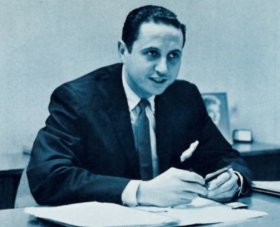 After leaving GM, Friedman developed several research safety vehicles for the National Highway Traffic Safety Administration in the 1970s at Minicars Inc., which he ran as the company’s president. The project was created to explore new vehicle technologies and engineering strategies to create a variety of vehicles in different sizes that could withstand 50-mph crashes while still being affordable, fuel efficient and comfortable. The program led to technologies that are commonplace on modern cars and light trucks, including antilock brakes, airbags and automatic emergency braking -- a feature that more than 40 years later is becoming available on a growing number of new models. Friedman joined GM in 1960 as the head of the land operations department for the GM Defense Research Laboratories. “In essence, the Research Safety Vehicle demonstrated that you could make safe smaller vehicles and safe larger vehicles,” said Clarence Ditlow, executive director of the Center for Auto Safety. Friedman later co-founded the Center for Injury Research, a non-profit foundation dedicated to researching and enhancing vehicle crashworthiness and occupant safety. Over the years, the center has crash-tested more than 50 vehicles. At a time when most longtime engineers contemplated hunting or fishing in retirement, Friedman launched a new career in the 1980s. He was tapped to help convince juries that automakers were misleading consumers and drivers about the dangers of collapsed roofs in rollover crashes. In case after case, he served as the plaintiff's expert star witness, detailing his claims and research that weak roofs injure people in crashes. His background, research and testimony gained more credibility as government auto safety research funding began to drop in the 1980s. Crashes involving crushed roofs came to light again in the early 2000s when a raft of Ford Explorer SUVs equipped with Firestone tires rolled over after their tires failed. While automakers disputed that weak roofs cause death and serious injury, juries often sided with Friedman. "The underlying basis of my testimony is the manufacturers' own information," Friedman told The Detroit News in 2004. "I use their own data against them."